Born on the 20th of May 1959. Enrolled as an Advocate on 21st of November 1984 and practised Civil, Constitutional, Company, Service and Labour matters in the High Court as well as in the Civil and Labour Courts. Worked as Legal Advisor to all Central Public Sector Undertakings and worked as Addl. Central Govt. Standing Counsel from 1999 onwards till 2005. Appointed as an Additional Judge of the High Court of Karnataka on 6th of January 2006 and permanent judge on 01.03.2007. He was appointed as the Chief Justice of Gauhati High Court on the 29th of October 2018. 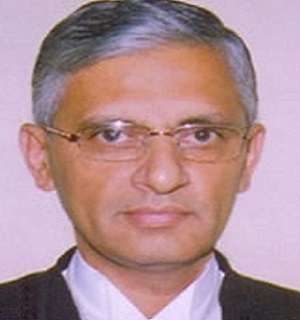 Previously, he had been a permanent judge on the Karnataka High Court since 2007.